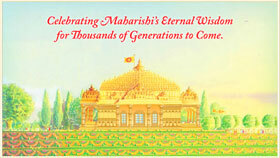 In honour and recognition of Maharishi’s historic achievement to secure the world in peace, prosperity, happiness, and freedom from suffering for millennia to come, grand twelve-story Maharishi Towers of Invincibility are being constructed around the world. 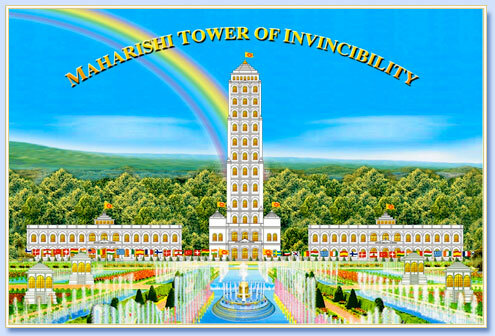 On 12 January 2008 groundbreaking ceremonies were held to inaugurate the Maharishi Tower of Invincibility in forty-eight countries of the world, with plans to build them in all 192 countries. 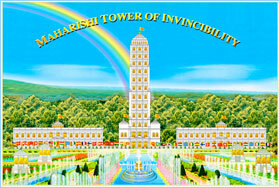 As well, construction of the Maharishi Tower of Invincibility is in progress in: Bolivia, Colombia, Nepal, and Peru. grand exhibitions for all areas of society. 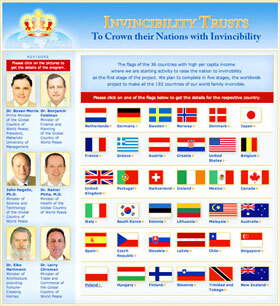 They will serve as a lighthouse of Invincibility for every nation. 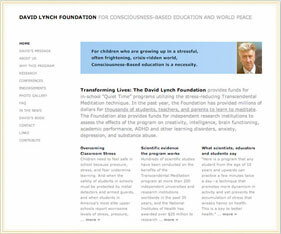 From there, large groups of Yogic Flyers will create coherent national consciousness. And from there Vedic Pandits from India will maintain their daily routine of Yoga, Yagya, and Jyotish, to avert any danger to a nation. 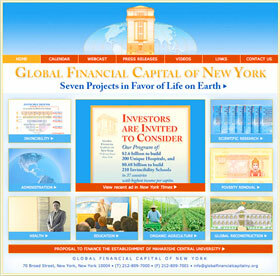 The Maharishi Towers of Invincibility will be connected to the forty-eight centres of Total Knowledge—Brahmanand Saraswati Nagar—in India and the twelve Jyotir Linga—ancient centres of silence where the full value of Shiva, pure Cosmic Intelligence, the Constitution of the Universe, is most lively to bless the world. View slides of the groundbreaking ceremonies around the world on 12 January 2008. View maps showing where the Maharishi Towers of Invincibility will be located. Throughout its long history, Holland has played a key role in the family of nations as a nation that stood for peace and freedom for all the countries, religions, and cultures of the world. Holland very graciously has continued in that role by offering a home to Maharishi European Research University (MERU) and the Global Country of World Peace—two organizations which are rapidly and concretely bringing the values of peace and knowledge to every nation.